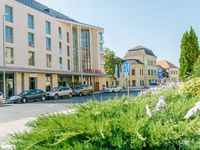 The newest hotel in Pécs opened it's gates in May 2010. We can guarantee that the unique character of the four-star Corso Hotel Pécs**** will make our guests feel good when being far away from their homes. 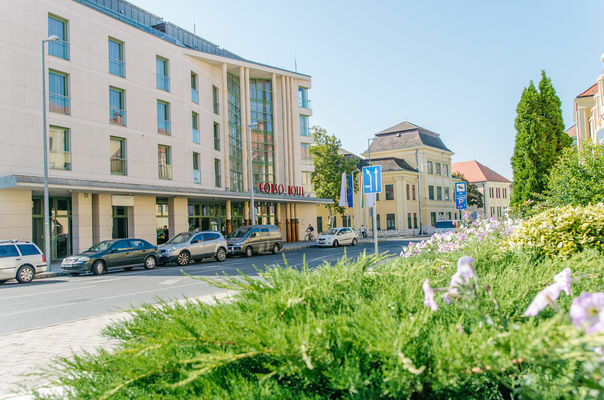 Our boutique hotel is in direct connection with the historical city centre and the Pécs Knowledge Centre, which is emerging in the scope of the European Capital of Culture project. The hotel awaits his guests with free parking possibilities (please inquire about these at the reception by checking-in), the "Visit Pécs!" tourist card, an exclusive Zsolnay-porcelain shop in the lobby and a brand new restaurant, the Little Baja, which opened in November 2013. Everyone can find the adequate design when choosing between our Trend, Classic and Mediterranean room types. In all modern designed and comfortable rooms are free WIFI and coffee/tea making facilities available. For a perfect relaxation choose one of the massages or some of the many program possibilities offered in the hotel. The a' la carte restaurant of Corso Hotel Pécs****, Little Baja invites the guests with its unique style, traditional, regional and, at the same time, trend following gastronomic selection. The hotel also offers conference and meeting rooms with high quality standards for banquets, business meetings, conferences, family events and weddings. Our staff will do their best to make your visit a truly comfortable and memorable experience, thereby stimulating you to come back in the future! • Full board is available at 32 EUR per person.